Eating disorders are eating patterns that reflect a psychological or physical problem. It is estimated that 10 million Americans suffered from eating disorders in 2005. There are five categories of eating disorders, anorexia nervosa, bulimia, binging, rumination disorder, and pica, but only the first three of these are teen eating disorders. The last two – rumination disorder and pica – which are primarily found in infants, and rumination disorder may arise from physical illness rather than a psychological condition, while pica is thought to possibly arise from a variety of conditions, including psychological conditions, mental health issues, and malnutrition, among others. Eating disorders are serious and can potentially become life-threatening, but treatment is available and recovery is possible. Professional attention should be sought if an eating disorder is suspected. 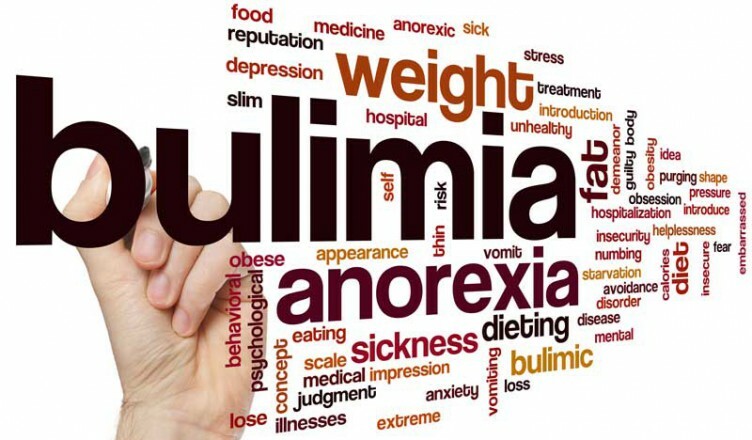 Also known as binge eating or binging, binge eating disorder is an eating disorder in its own right, as well as one of the major symptoms of bulimia nervosa. It is one of the three common types of teen eating disorder, and – on its own – just includes uncontrolled overeating without any of the compensatory behaviors. It is characterized by the feeling of being unable to control one’s eating. Binging is the most widespread eating disorder as far as gender and age, as well as percentage of people affected. The National Institute of Diabetes and Digestive and Kidney Diseases (NIDDK) reports for every 5 people with binge eating disorder, 3 are women and 2 are men. NIDDK also reports that 2% of U.S. adults have binge eating disorder. Others put this figure as high as 5%.